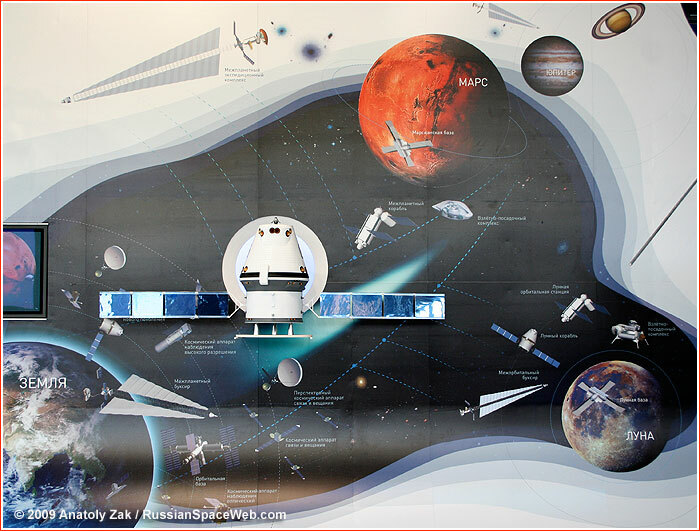 ...The highlight of the event was the presentation of the Russian vision for manned space program in the next 30 years. It featured a multi-element Interplanetary Expeditionary Complex, MEK, which would enable manned missions to Mars and beyond. According to the plan, lunar exploration would have lower priority than expedition to Mars. The next-generation manned transport ship, PTK NP, would serve as an "embryo" of the future complex.